All About Speech LLC is a unique and dynamic speech-language pathology practice budding with innovation, professionalism, and most of all, a commitment to helping our clients. At our core, our experienced and passionate therapists believe in focusing on our clients’ strengths to treat a variety of diagnoses and disorders. Our therapeutic approach is guided by evidence-based research, principles, honor, value, and of course, a lot of fun! Learn more about our services and offerings. We believe all children should have access to the resources and support they need. Smiles for Speech, a humanitarian, education based, non-profit organization that was founded in 2017 with the intention to help provide language learning resources and support for children with speech and language disorders and their families living in impoverished communities. Join an inspired community of like-minded people in helping make a difference in the lives of children with various special needs/disabilities all over the world. 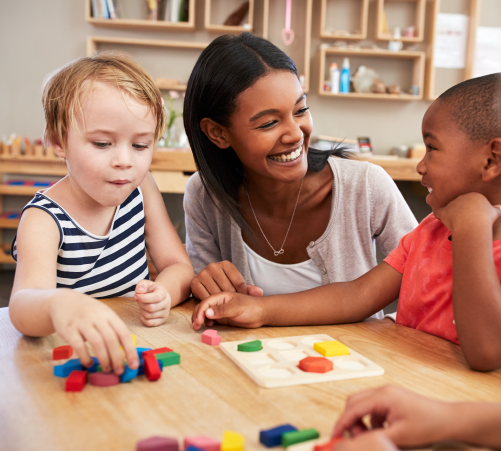 We currently have opportunities for an SLP/CF to work with preschoolers and school-age children in Manhattan and the Bronx. We couldn’t be more excited to share this job opening with you. If you would like to be considered for new opportunities in a fun, upbeat and extremely rewarding working environment, we’d love to hear from you. Submit your resume online through Indeed or simply email us at info@allaboutspeechnyc.com. We look forward to hearing from you. "Ms. Dorsey's rapport with her students was unsurpassed. Her strong, yet gentle perseverance helped many students make progress that in many cases was nothing short of amazing." "Working with Ms. Dorsey helped my son stutter less and expand his vocabulary. He is having a successful first year in high school and achieving first honors." "I highly recommend Sandy as she will provide insight/education to the care of others. We cannot express enough what a pleasure it has been to work with such a skilled therapist." "It has been a privilege to have Sandy work with my daughter, Samantha. Her passion and tireless efforts were inspiring and have helped us to communicate better with each other." Connect with All About Speech on Instagram.